1. SMD-2835 beads of imported chips are used as light source to ensure the quality of beads. 2. The thermal conductivity of aluminium substrate for PCB board is 1.2 W/m.k. 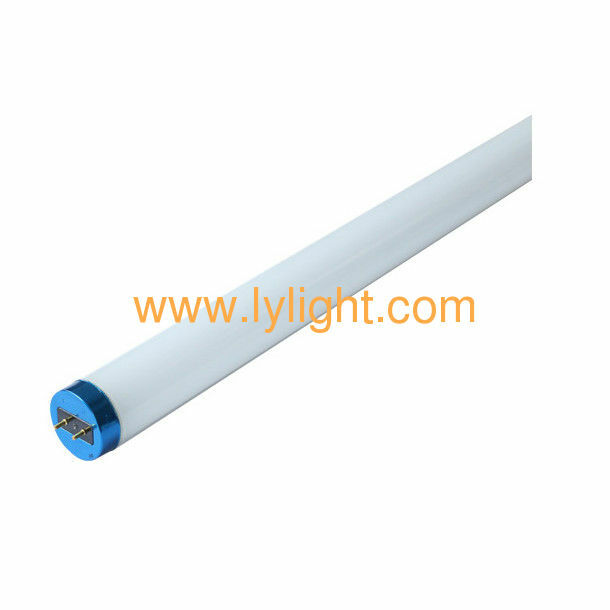 The aluminium substrate and glass tube (0.95W/m.k) are bonded tightly with thermal conductivity dealcoholized silica gel (1.0W/m.k), which ensures good heat dissipation of the lamp body and ensures the service life of the lamp. 4. The perfect combination of science ensures that the product can work normally in various climatic environments of - 20 ~60 ~C, and the lamp's safety, brightness, color temperature, color rendering and other aspects can achieve the best results. 4. No glare: All-glass transmitter and advanced anti-glare diffusion technology are used. 5. Long life: Under normal use, the service life of LED light source is up to 35000 hours. 6. Low energy consumption: Compared with ordinary light source, LED light source saves more than 60% electricity. 7. High light efficiency: Select high-quality imported chips, 40% brightness per watt higher than traditional fluorescent lamp tube, 80% higher than incandescent lamp. 8. Low light attenuation: Unique lamp structure design, fast heat dissipation, light attenuation is 80% lower than traditional fluorescent lamp tube.